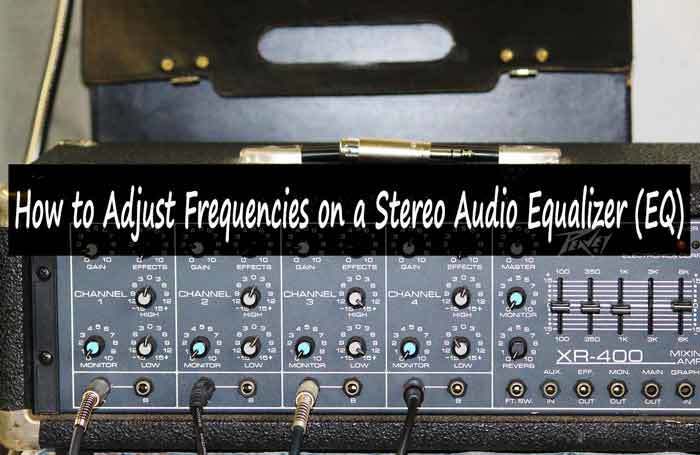 Commonly referred to as ‘EQ controls’, stereo audio equalizers provide for the adjustments of various frequency bands. These EQ controls are used to improve audio in specific sound situations such as auto, live, and recording. Normally these controls come with a collection of presets such as rock, folk, vocals, pop among others that are used to enhance the quality of the sound and consequently the quality of the music. Setting equalizers will largely differ from one individual to another and it tends to be a subjective experience. However, it is important to keep in mind that although EQ controls are used to improve sound, these sound improvement is only required when either there is malfunctioning in one or more audio components or when there is a tendency of some sound frequencies to go up or down due to certain aspects such as room acoustics. In such cases, the control becomes more about bridging a gap and less about enhancement. Just like light which spreads in many wavelengths, sound spreads across many different frequencies or channels. As such, EQ controls provide a way to adjust the frequencies of different sound channels. Various music instrument and also human voice stretch across different frequencies and there is a whole range of frequencies that the human ear can hear well than others and others it can’t detect. What Are The Major Goals of Equalizing? To define an instrument and make it sound clearer. To make the instrument or mix bigger. To make each instrument sit on its own predominate frequency range by juggling through various frequencies making all the elements of a mix fit together better. Before we evaluate how you can adjust frequencies on a stereo audio equalizer, it is important we examine the areas of the audio band and how each area affect the sound outcome. The numbers seen on the equalizer panel are the frequencies (measured in Hertz abbreviated as Hz). Each sound channel has a different frequency range. Most audio bands have six distinct ranges and each part plays an important role on the total sound quality. Sub-Bass (16 -60 Hz) –This is the lowest bass and it emphasizes on the frequencies that especially occur infrequently, for example, background sounds. However, too much emphasis on his range makes the sound blurred. Bass (60-250 Hz) –This contains the fundamental notes of the rhythm section.Musical balance which could either be fat or thin is easily achieved by adjusting frequencies in this range. It is however, important to maintain a balance as over-emphasis on this range tends to make the music to sound excessively deep. Low Mids (250 -2000Hz) - The low midrange accommodates the low order harmonics of most musical instrument. Too much emphasis on this range can lead to listening fatigue and telephone-like sounds. High Mids (2 - 4kHz) – Best described as upper midrange, this frequency if boosted, it helps to make various sounds formed with the lips indistinguishable by introducing a lisping quality into a voice through is ability to hide the important speech recognition sounds.Just like low mids too much boosting can cause listening fatigue. Presence (4 - 6kHz) - The presence focuses on the clarity and definition of voices and instruments. Increasing this range brings the music closer to your ears. Decreasing it,however, makes the sound feel so far away yet so transparent. Brilliance (6 - 16kHz) –This is the highest frequency which is in charge of brilliance and sound coherence. However, over-emphasis on this range can produce a hissing effect on the vocals. Note: Some instruments lack some of these frequency ranges. However, it is important to understand how each function and how it impacts on your source audio. One of the oldest and best guide to set the EQ controls is using one’s personal listening preferences. Everyone has his/her own opinions when it comes to best sound. Whichever the case the following steps will help you to adjust an equalizer to fit your definition of best sound. Properly installed speakers will ensure that you will be starting from the best sound possible in your listening room right from the start. It is therefore important to make sure that even before touch your equalizers, the speakers are in place. Any attempts to try and adjust the EQ controls when the speakers aren't already positioned to sound their best, will not bear the intended results. To be on the safe side, always ensure that before you start with the equalizer controls, they are set at the neutral or 0 level. This should be done for both hardware and software so as to avoid inconsistencies in the event that the instrument had been tampered with. Adjusting the controls is solely based on your listening preferences. Tackle each frequency at time, making small adjustments until you get the desired sound effect. It is advisable to play music that you are well familiar with as it will guide arrive at the best sound i.e. what you want to hear. All frequencies works collectively and each contributes to the final output, as such even a small increase/decrease can make a big impact. The changes made will not happen almost immediately. After the adjustments are made, give your instrument a couple of minutes to absorb the adjustments. Also, you may want to check the volume and adjust accordingly especially if some of the frequencies had either been adjusted up or down. Take care of any minor adjustment and don’t be afraid to experiment and play around with all the equalizer settings until you achieve the best results. Additionally, you can repeat step three with different frequency bands and different music tracks until you narrow down to a specific sound. The EQ controls are sets to improve the sound quality i.e. the highs and lows of frequencies in any music genre. The control to be applied is purely a subjective matter and you can always play around and adjust them to suit your musical needs.